The book reads like one of the code reviews on his blog (= really, really well), but one long enough that he should turn it into a book instead. Which he did. It does a great job at describing in-detail the technical limitations of computers of that era, and how the Id Software team circumvented them. The description is helped by numerous code fragments, diagrams, tables, charts, etc. I took great pleasure from learning the clever hacks necessary to make the game work with the computational constraints, from implementation of fixed point arithmetic, through the special way of storing textures to something as simple as drawing walls with a correct perspective. Hardware pipeline diagram. This is not an indicative of all diagrams; it’s perhaps the most humorous one. A fair part of the book is dedicated to the history of Wolfenstein 3D, and one chapter in particular is as good as one giant quote from John Carmack. It touches upon various ports Wolf3D had, and couldn’t have had. The sheer fact that The John Carmack wrote several pages worth of recollections (and the foreword) only lends credibility to the book’s author. While it’s a terrific read, this position offers next to no information relevant today. Almost everything you can read about 16-bit addressing, graphics rendering and DOS internals has long since been obsoleted. Your historical curiosity about one of the most important games of the 90’s will be well sated, but that’s all there is to it – I just want to be clear about it. The physical edition of the book is very nice, but it’s not perfect. The cover is prone to getting dirty (i.e. when you apply your fingers), and it’s very visible on the pitch-black colour. It’s also quite evident that the book was self-published: at some points it lacks the expected polish, and there are more typos than I’d expect from a professionally proof-read text – even a first edition. 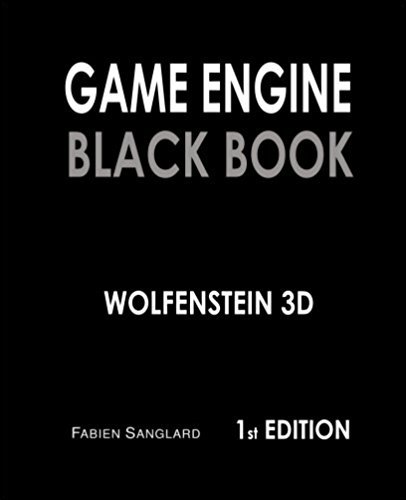 All in all, Game Engine Black Book: Wolfenstein 3D was pure joy to read. I enjoyed immensely every part of it. If you like Fabien’s blog, this will be right up your alley. 1only technically: I somehow misplaced Fabien’s response to my email requesting a signed copy, but I still ordered and paid for it without reading a single review. It’s not technical, more about atmosphere of 90’s and many aspects of games – fun from making games, writing for magazines, shareware, gore and its impact on society, first multiplayer games and many more. Very interesting book, but review might be a little bit more detailed/extensive :) Thanks anyway! Thanks for review, I didn’t know before about Fabien or existence of this book. Looks really interesting, I’ really like that kind of book. I’m waiting for more! © 2019 /dev/krzaq | Theme: Storto by CrestaProject WordPress Themes. Modified by KrzaQ. | 8 queries, 0.269 seconds.